Nokia – yes that Nokia – released an app today called Z Launcher that hopes to make your life simpler by predicting or learning from your patterns. The app is only in beta right now, and not through Google Play, but most of you can give it a shot by following a quick sign-up procedure. So what does it do to make it worth that shot? Well, like many other launchers of today, it tries to learn from your patterns to help bring you apps or contacts or suggestions as you need them before you realize you need them. By using your phone as you always do, Z Launcher takes the information gathered from that and then presents you with the apps you may need to use right now. If prediction doesn’t sound like something you care for, the other main feature of Z Launcher might interest you. By simply drawing out the first letter of an app you are looking on the screen, Z Launcher will bring up a list of apps that begin with that letter. So rather than scrolling through your massive list of apps, hoping to find the one you need, you can quickly search for it with a simple scribble. The pre-beta download is available for Android users running 4.1 or higher, but has been optimized for the Galaxy S5, S4, S3 and Nexus 5. 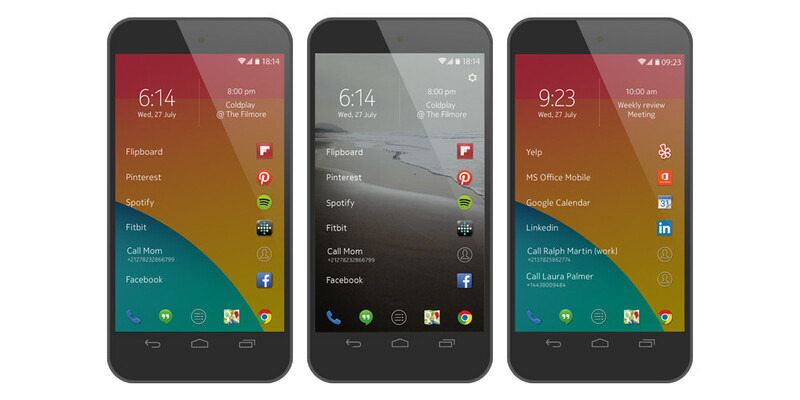 To sign-up and give Z Launcher a shot, head over to this site.